It is by far the fastest external drive you will ever come across today. Although LaCie Little Big Disk Thunderbolt 2 is a very expensive external drive, you will be very happy with it in terms of performance. It sports dual high-performance solid-state drives (SSDs) on the inside, thus it is by far the fastest external drive you will ever come across today. Furthermore, it is compact with a rugged design so you can easily and without worry carry that performance with you. 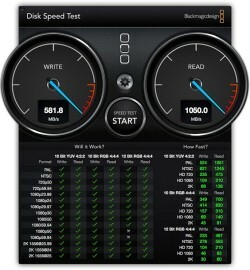 The new Lacie Little Big Disk Thunderbolt is super-fast. It is compact, runs cool, does not heat in operation, and it supports RAID. The external storage needs a separate power adapter to run. It is an expensive 1TB external drive sold on the market today. This LaCie drive is for those who do data-intensive work such as 4K video editing—especially doing so in the field. It will make your life a lot easier. The new Little Big Disk Thunderbolt 2 design resembles its predecessor, with a rugged and unique full-metal body design. The iconic round blue bottom works as a power indicator placed on the front. Two Thunderbolt ports and a power port are placed on the back. Although the drive supports Thunderbolt 2, it also work with Thunderbolt. Both standards share the same cable and port. The LaCie Little Big Disk Thunderbolt 2 comes with a detachable stand that enables it to work in an upright position, but can also be operated without the stand in any orientation you choose. Since the drive is not bus-powered, it requires a separate power adapter, about half the size of the drive. The drive is compact enough to be easily fitted into a backpack or even a briefcase. This new drive comes with wall socket converters to be universally used in any part of the world. Plus a foot-long Thunderbolt cable. This is a satisfying change, since with the previous model, the cable was not provided. On the inside, the LaCie sports two Seagate 512 GB Type 2 SSDs in a RAID 0 setup, contrary to the normal standard SATA SSD for the previous make. You can switch SSDs into a RAID 1 configuration for enhanced data protection at the cost of reduced performance. LaCie Little Big Disk Thunderbolt 2 is totally Mac-oriented comes preformatted in HFS+, the file system used by Macs. Therefore, the drive works out of the box. Furthermore, it comes with the Intego Backup Manager Pro software, a backup solution that provides more advanced options than Time Machine. The drive takes just a second to mount once plugged in. It shares power with the host computer. When the computer shuts down or is put in deep sleep mode, the drive turns off. It turns back on when the computer wakes up. Each time there is a change in power status, the drive responds immediately. You don’t have to wait for it to be ready. 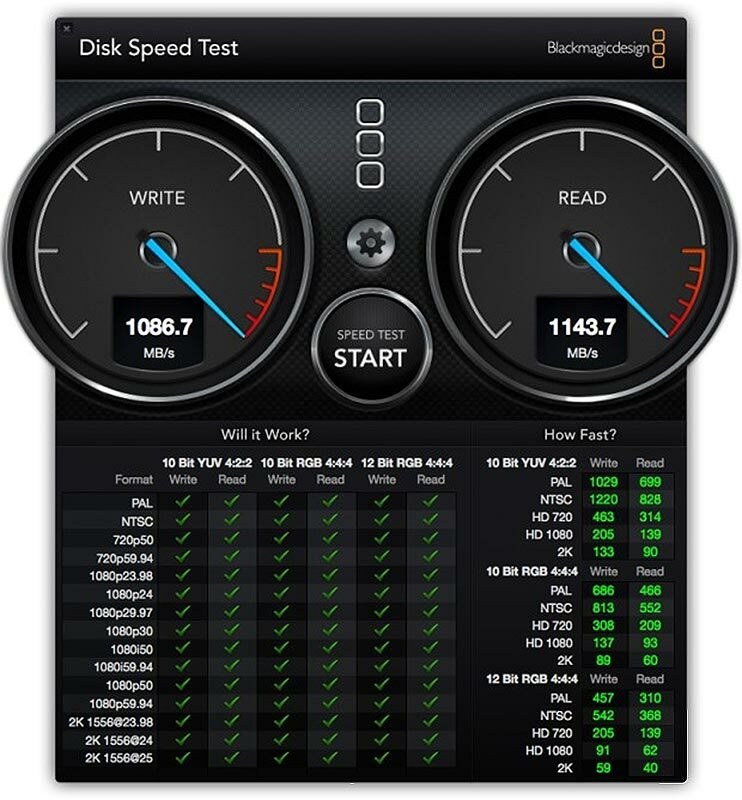 When it comes to read and write speeds, this model zooms ahead of competitors with a read speed of above 1143 MB/s and a write speed of over 1086 MB/s if in RAID 0. When switched into RAID 1, the performance was reduced but still very impressive, at 580 MB/s for writing and 1050 MB/s reading. This is fastest drive available on market today. LaCie Little Big Disk Thunderbolt 2 can be reformatted to work with Windows. The included LaCie Private Public (keeps the information on the drive secure in case of theft or loss) will also work with Windows as it is available for both Mac and Windows computers. Going by the price of $2000 is bold, but ditch it if it not the fastest terabyte you were looking for. The Little Big Disk Thunderbolt 2 is really an investment for the most demanding users who want super-fast transfer speeds in an easily portable package. LaCie Little Big Disk Thunderbolt 2 is for those looking for super performance, period.